Handwritten on Back Left: Aunt Edith / Evan Thomas. 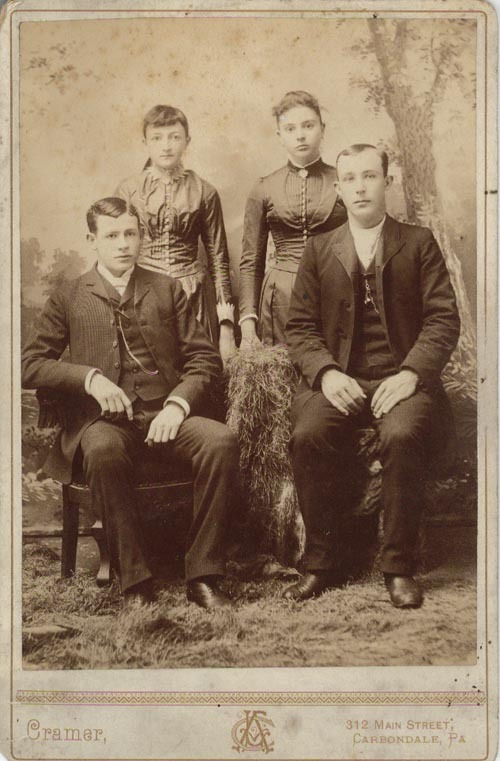 Handwritten on Back Right: Aunt Mary / Uncle Henry Sieler. Are you looking for SIEDLER ancestors? If so, we suggest posting a query to our Community Message Board to get assistance from other researchers.